Updates Galore!!! 3-bedroom, 1 bath ranch situated on a 1-acre lot just outside of city limits but still in Festus School District! 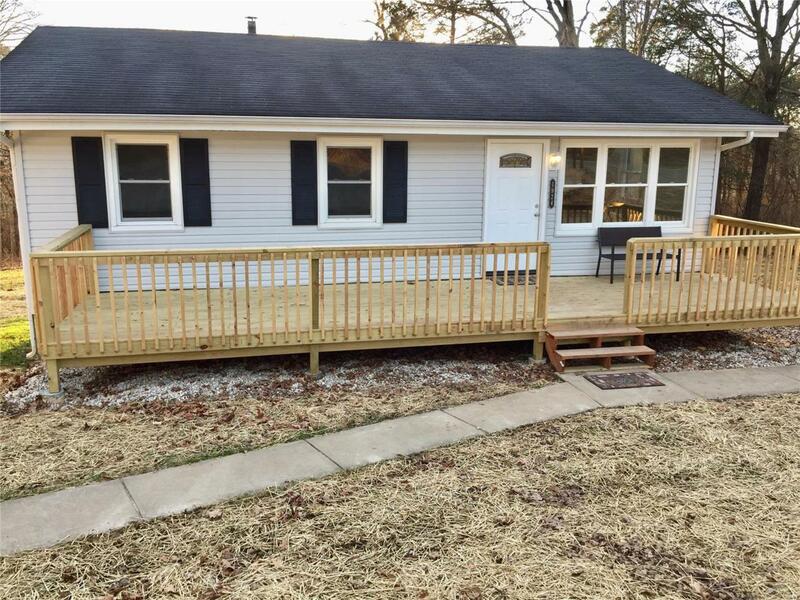 The home features a new 38x9 deck on the front of the home and an 18x8 deck on the back of the home. The home is freshly painted with newer flooring, newer lighting, updated bathroom, six panel doors, walk out to the large rear deck, and a view that goes for miles! There is also a new furnace, well (pump, expansion tank, and bladder), the walk out basement has been waterproofed and comes with a life time warranty. The septic was installed in 2011 as well as the A/C and the electric has been updated. Agent is related to seller.